My Vitamin D Level was 11 ng/ml. I was treated with 5000 IU's vit D3 per day and now my Vitamin D level is 22 ng/ml and my doctor increased my dosage to 10,000 IU's per day!!! My doctor did not tell me why I am deficient. I do have diabetes type 1 and am considered hypothyroid with Synthroid dosage at 1.75 mcg. daily. I go every 3 months for blood work. What my question is ,is what causes this deficiency and how bad is 11 and 22? I also had bone pain and would get severe tetany as well as depression and was weak feeling. The strangest thing though was this tingling sensation that would send impulses from my low back down my legs .. and a few times as I walked on the tread mill it was very difficult as I felt like my legs just weren't mine..
Is all of this related to vitamin d3 deficiency? Late Stage Breast Cancer survivor taking 10,000 IU of Vitamin D3 w/soybean oil. And they smell horrible. I bought two bottles at Walgreens. A new brand called Spring Valley. Trader Joe's was out of the ones I used before. The others didn't have this odor. I didn't know anything about soybean oil. I have severe osteoporosis, as a result of my cancer medication Femara. Thus the mega dose. I think I know the answer. Dump them or get my money back for probably being rancid. Right? I am really frightened. I've been vomiting lately for no reason. 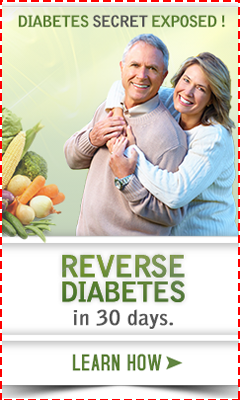 Please suggest a "healthy" vitamin D3 w/out soybean oil. Yours and yours only? Just testing you! Thanks for the information. 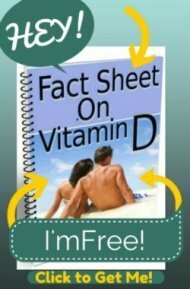 Is 10 000 IU of Vitamin D3 safe? I just bought 360 softgels of Vitamin D3, 10 000 IU. Is it safe to take one of these daily ? Should I take them for a full year ? I'm a 30 years old man from UK. I'm taking aswell spirulina powder and 1 tablet(200mcg Selenium with Vitamins A,C and E in composition) of Selenium daily. Is that ok? So far as I know I'm healthy, haven't done my Vitamin D level's test yet. So, should I carry on taking these medication for preventive reasons ? Just had a few questions in regards to Vitamin D. I am a grammar school nurse and we seem to have many children showing signs of the swine flu. I usually take 5000IU daily but increased to 10,000 IU for the past 10 days. I have done a lot of reading on the toxicity of too much vitamin d. I am a little nervous now. Was that too much to take? Also, I have been giving my 10 yr old son(he's 100 pounds) 4000 iu/daily and my 4 yr old son 2000 IU/daily. Are these levels safe as well?